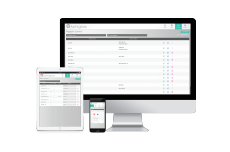 With the smartPARTM Wireless Control System you can manage your LumiGrow LEDs from your phone, tablet, or computer. 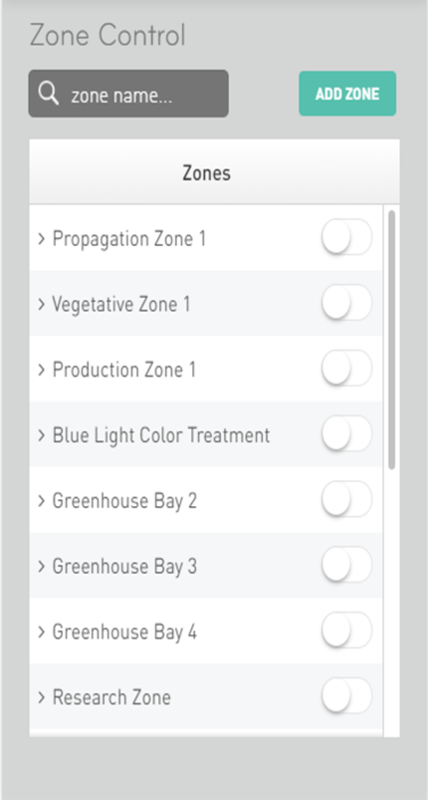 Quickly set up lighting zones, enable lighting automation and gain control over light intensity, spectrum, and photoperiod. smartPARTM allows you to create the optimal lighting environment to maximize production. Control spectrum, photoperiod and intensity to ensure healthy plant response and root development. Managing your lighting with precision allows plants to fully develop in a shorter amount of time. Adjust the ratio of blue to red light to influence plant height, shape, size, color, flavor and nutrition. smartPARTM for Greenhouse comes with LumiGrow Light Sensors to automate your perfect lighting strategy. The sensors measure sunlight in the greenhouse to automatically adjust your fixtures to achieve an ideal Daily Light Integral (DLI). The result is an energy-efficient solution that produces consistently high crop yields. 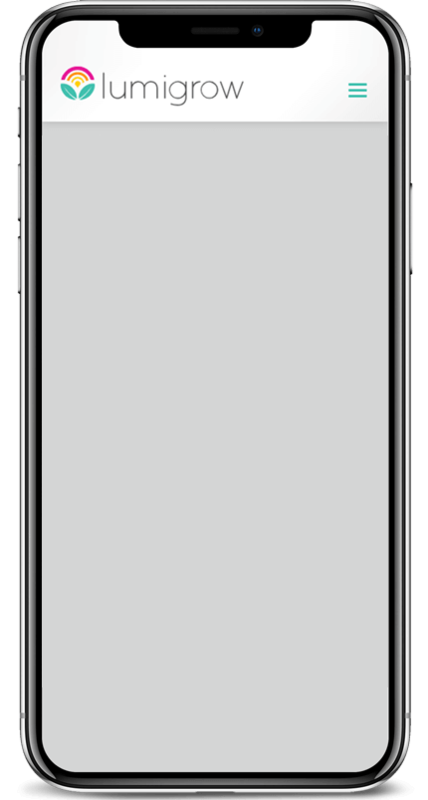 smartPARTM for Indoor allows you complete control over all of light's characteristics, including spectrum, photoperiod and intensity. This level of lighting precision empowers you to achieve specific lighting requirements by crop type and growth stage to produce the quality and yield you need. 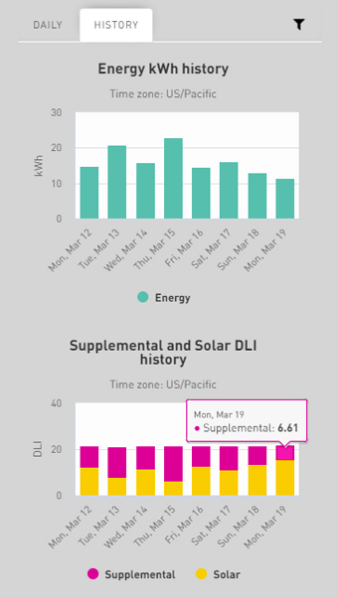 Then review your power analytics to continually optimize your electrical costs. 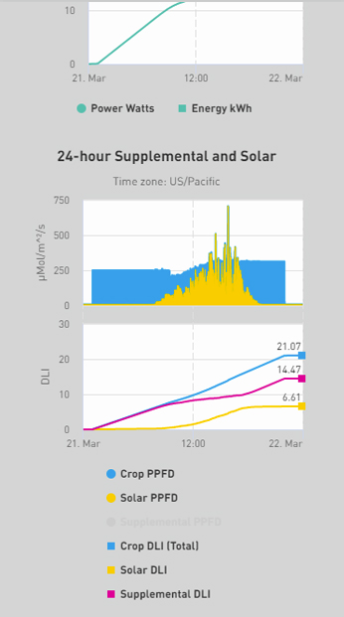 Access real time data and historical insight into sunlight and supplemental light levels.